In early 1928, Walt Disney was failing in his attempts to secure distribution for a series of animations that would star his newest creation, Mickey Mouse. When the Warner Brothers live action film ‘The Jazz Singer’ ushered in a new era of sound films, Walt decided to move ahead with the Mickey Mouse animations utilizing a synchronized soundtrack. The problem however was that because this was something that had never been done before, Walt had no idea exactly how to implement that vision. On this episode of The Uncle Walt Podcast we discuss exactly how the Walt Disney Studio forged a new and unique way of creating a soundtrack to an animated film, and the trials and tests they would employ to accomplish their goal. After the loss of his hit character Oswald The Lucky Rabbit, Walt Disney had to regroup and come up with a new series if his studio was to stay in business. Along with Ub Iwerks he came up with a little mouse, whom he called Mortimer, and a rough outline for a short he called ‘Plane Crazy’. Due to contractual obligations, the studio still needed to produce the final Oswald films, but a group of loyal employees would simultaneously begin working on this new project in complete secrecy. In this episode we’ll discuss the steps Walt took to keep his new idea under wraps and his efforts to sell his new character once the film was completed. 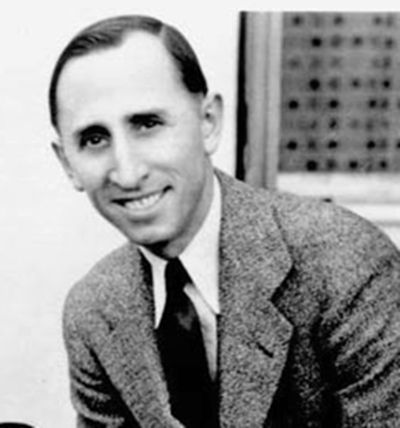 Charles Mintz was stonewalling Walt Disney in the ongoing talks to renew their contract in early 1928, partly because he held all of the leverage in the negotiations, and partly because he knew he had an ace up his sleeve. 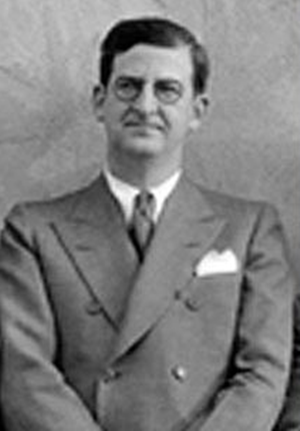 Not only was Mintz stealing Walt Disney’s staff behind his back, but he was also stealing his character as well, as Walt Disney did not legally own the rights to Oswald the Lucky Rabbit. When Mintz used this fact to try and coerce Walt into relinquishing control of his studio, Walt stood firm and walked away, even though it meant starting from scratch all over again. Hear all this plus the story of possibly the most significant train ride in animation history, on this episode of The Uncle Walt Podcast. The California Limited in Los Angeles, CA. The limited would have been the route of Walt and Lillian’s second leg of their trip home from New York, running between Chicago and L.A.
Walt Disney personally traveled to New York City, in early 1928 to conclude a new deal with Charles Mintz to continue producing their hit animated series ‘Oswald the Lucky Rabbit’. Before he left California, Walt had heard some rumblings about unhappiness within his staff, but he did not realize just how deep the issues ran. When he arrived back east, Walt found that Charles Mintz was playing hardball in the negotiations. Somehow Charles Mintz had gained leverage over Walt Disney, and that is when Walt realized something catastrophic had taken place. Hear this and more, on this episode of The Uncle Walt Podcast. Story sketches from a November, 1927 ‘Oswald the Lucky Rabbit’ short. Early in 1927, Walt Disney wrapped production on his long time animation/live-action combination series “Alice’s Wonderland”. As that series was coming to an end, both Walt and his distributor Charles Mintz began thinking about what their relationship would be post Alice. Mintz entered into negotiations with Universal Pictures to distribute an all new, all animation Walt Disney produced series. This new series presented Walt with a tremendous opportunity to capitalize on the success of the Alice films and to continue his studios growth and evolution in the animation field. Hear this and more, including the early concepts and design for their new star, on this episode of The Uncle Walt Podcast. Oswald The Lucky Rabbit in his 1927 debut film “Trolley Troubles”. Walt always faced adversity while growing his studio in the 1920’s. Usually it was financial, sometimes it was creative, other times it was business related. For the first time however Walt started experiencing trouble with his staff. After moving his operation to the new Hyperion Blvd. location, many of Walt’s employees would notice a distinct change in his demeanor. This would lead to some unplanned departures at the studio. We’ll discuss all of this, plus Walt wraps up the most important project of his career thus far and looks ahead to the future of his studio, on this episode of The Uncle Walt Podcast. 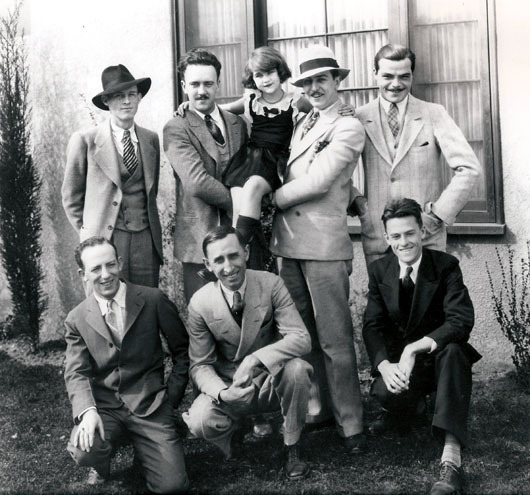 Top row - Walker Harmon, Ub Iwerks, Lois Hardwick, Walt Disney and Rudy Ising. Bottom row - Friz Freeling, Roy Disney and Hugh Harmon. Walt Disney’s stalemate with Charles Mintz over the future distribution of his Alice comedies was still unresolved. Despite this, Walt and Roy forged ahead with several key changes at the studio. There would be new places, new faces and new names in the world of Walt. Some of these changes were by choice, and others by necessity. Join the discussion on all of this and more, on this episode of The Uncle Walt Podcast. Having returned home from his wedding and honeymoon with his new bride Lillian, Walt turned his focus back to his work. The Alice films were beginning to garner national attention, and Charles Mintz would attempt to use this as leverage against Walt Disney to negotiate more favorable terms in their next contract. Tensions between the two men would begin to rise and Walt would be forced to make a number of important decisions regarding the future of his beloved film series. Walt Disney (left) directs Virginia Davis as Roy Disney (right) operates the camera. As Walt Disney continued to expand his studio staff, he hired several young ladies to work as ink and painters. Although Walt did not chase women, he did start to catch the eye of one of these young ladies in particular. Her name was Lillian Bounds, and as Roy and Edna finally tied the knot, Walt and Lillian served as best man and maid of honer respectively. Walt's first love was always animation, but he began making room in his heart for Lillian. All this and more on this episode of The Uncle Walt Podcast. Walt Disney's relationship with his distributor Margaret Winkler was going well. Both of their visions for the future of the Alice series were generally aligned with one another. Somewhat unexpectedly however, Walt found himself dealing with a new distributor all together. With a new distributor came a new contract. With a new contract came an expanded staff and with an expanded staff came more of Walt's Laugh-O-Gram buddies. Hear all this and more, on this episode of The Uncle Walt Podcast. With the first Alice films now finished and well received by the public, Walt Disney and Margaret Winkler decided to speed up production on the films and produce not 1, but 2 films per month. This meant an increase in workload for the already understaffed Disney Bros. Studio. For weeks Walt had been corresponding with old friend Ub Iwerks in hopes of luring him to California. Will Ub join Walt in Hollywood or pass on the opportunity? Plus, hear about the emergence of Walt Disney's first recurring cartoon character. All of that and more, on this episode of The Uncle Walt Podcast. When Walt was in Kansas City, he had an animation company and no distribution. When he moved to California, he had acquired distribution but had no animation company. In October of 1923, with a contract in hand for his Alice films, Walt now had to figure out how he was going to produce the series. He turned to Older brother Roy for advice. Hear this story and more on episode 31 of The Uncle Walt Podcast. With Walt Disney settling into life in California, he received some news he had long been hoping for. A film distributor from New York had seen a reel of 'Alice's Wonderland' and wanted to negotiate a distribution deal. Who was the distributor? What were the terms of the contract? All this and more on this episode of The Uncle Walt Podcast. When Walt Disney first arrived in Hollywood, CA in 1923, he knew he wanted to be in the movie business. He just wasn't sure exactly what he was going to do. He had not completely given up on animation, but it did take a back seat to his new hope of becoming a live-action director at a major motion picture studio. In this episode of The Uncle Walt Podcast you'll hear all about Walt's first days and weeks in California, and the plans and dreams he began to piece together during that time. Walt Disney put everything he had into his Laugh-O-Gram's animation studio. It was his dream come true in his early 20's. Unfortunately Walt's lack of experience showed. By summer of 1923 both Walt and his studio were at rock bottom. Would Walt stay in Kansas City and keep trying his hand with Laugh-O-Grams? Or, would he leave town in search of his next dream? Find out, on this episode of The Uncle Walt Podcast. Walt Disney behind his live-action camera - Kansas City, MO. By 1923, Walt Disney had hit rock bottom. Not just with his animation studio, but personally as well. Neither he nor Laugh-O-Grams had any money and Walt needed a hit cartoon badly if he was going to keep his dream alive and keep his beloved studio afloat. In what essentially amounted to a last ditch effort, Walt dreamed of a new series that would combine both animation and live-action in a way that had never been seen on screen before. Would it work? Or was it too little, too late... All this and more, on this episode of The Uncle Walt Podcast. In autumn of 1922, Walt Disney's fledgling animation studio signed it's first official contract for the delivery of 6 animations. The contract almost never happened though, and when it did, it was far from ideal. On this episode of The Uncle Walt Podcast you'll hear the circumstances surrounding this contract and the plan Walt set in motion to fulfill his end of the bargain.